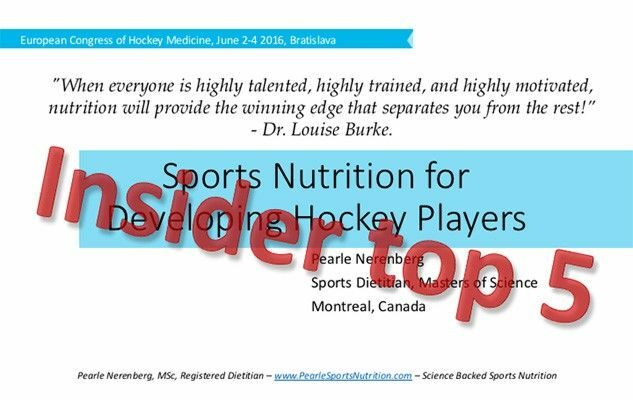 Are Your Hockey Players Getting Professional Sports Nutrition Guidance? 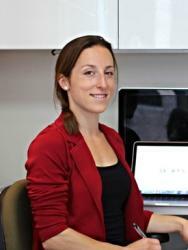 The hockey community should aim to make sports dietitians their primary source of sports nutrition information by 2020. 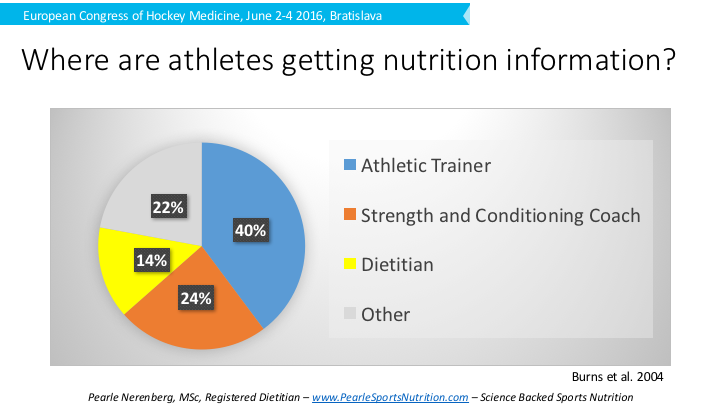 These individuals are specialists in scientific backed sports nutrition and this image highlights the current problem in hockey – dietitians are not the main source of nutrition information. Where are you getting your sports nutrition information? At this moment it is coming from a sports dietitian, bravo!